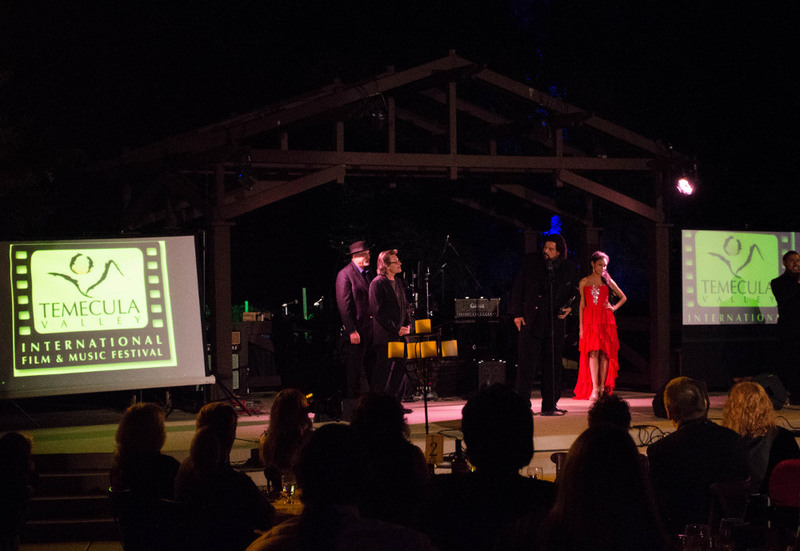 Atom Heart Mother and The Dark Side of the Moon engineer Alan Parsons was honoured at this year's Temecula Valley International Film Festival in Temecula, California, for his work with Pink Floyd amongst other things. Parsons was given a 'Lifetime Achievement Award' "for significant contributions to music as record producer and performing artist". Parsons' recognition was presented by another performing artist with a Pink Floyd background: saxophonist and guitarist Scott Page. 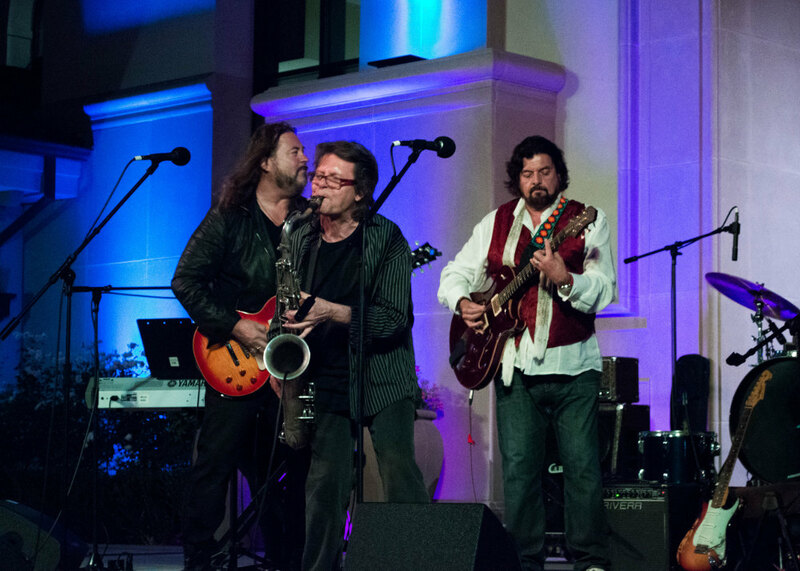 Hosted between September 17th and 21st, the event featured two consecutive nights of live music, headlined on the second night by Scott Page's band, Hang Dynasty. The band has always consisted of a rotating roster of accomplished and well-known musicians but has boasted Page as a regular member. They were the 'Monday night house band during The China Club's heyday in Hollywood' but have, for the most part since, played one-off gigs with guests ranging from Edgar Winter to Jon Anderson. 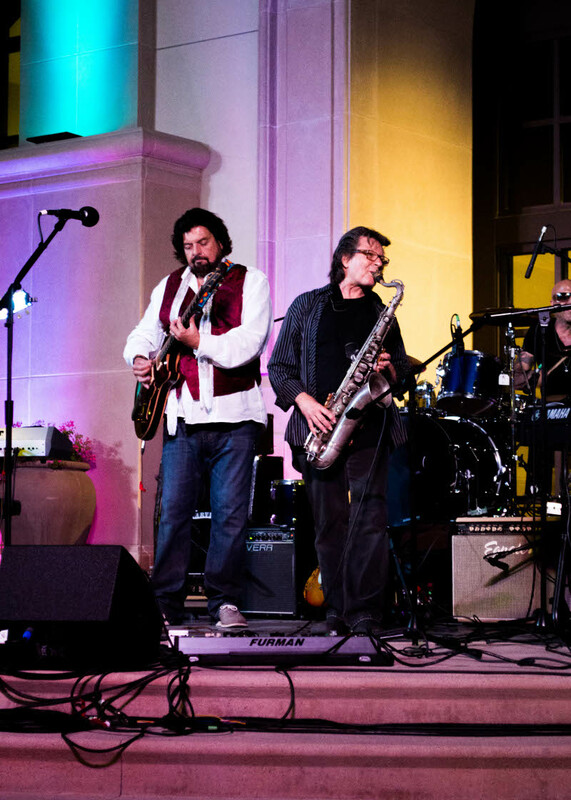 The Temecula gig included Kenny Lee Lewis (Steve Miller Band), Diane Feinberg-Lewis, Kenny Aronoff (John Mellencamp, Cinderella, Chickenfoot), Reggie McBride (Stevie Wonder, Glenn Frey, Elton John), and Randy Scott (winner of Guitar Center's 'King of Blues' Award). Hang Dynasty played a number of classic tunes, including Take Me to the River and Fly Like an Eagle. Toward the end of the set, Alan Parsons joined the band and played Sirius / Eye in the Sky before wrapping the entire music program for this year's festival up with Don't Answer Me and a special rendition of Lucille. 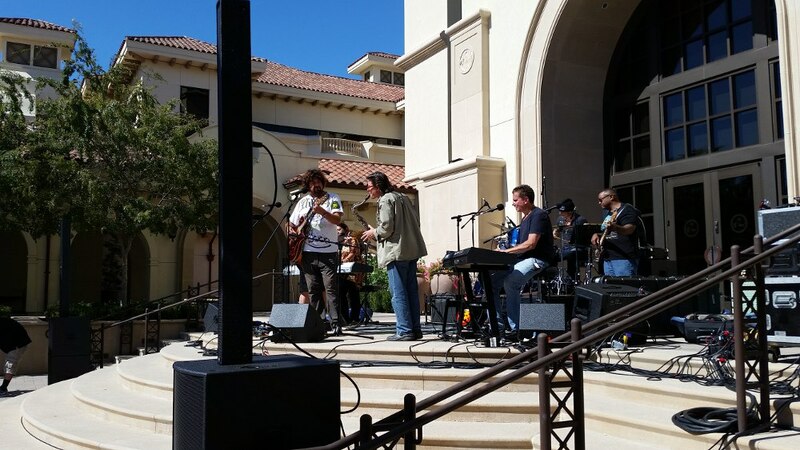 It was a special opportunity for fans to see Parsons in a unique and more intimate setting (Temecula is a small – but growing – town full of wineries; the live music is hosted in the middle of historic Old Town Temecula) and to see Page in his element, leading his band through a diverse set much like his father, Bill Page, led musicians on The Lawrence Welk Show some moons ago. On the last day of the festival Parsons was honoured in a gala along folks like trumpeter Arturo Sandoval and film director and producer Joseph Sargent. Alan Parsons producer Ken Rose joined Page during Parsons' introduction, which was followed by a montage of Parsons' career. For his part, Parsons received the award gracefully but humorously as well: surrounded at the film festival by film-makers and those who produce movie scores, Parsons reminded everyone that he too had worked on a movie score at one point: for the 1985 film "Ladyhawk", a fantasy film featuring Matthew Broderick and Michelle Pfeiffer. He said he really enjoyed that experience and that he has been waiting for "the call" to do another score since, assuring movie industry members in attendance that he was available! Our thanks to Marie Lopez-Reyes for the exclusive photos which accompany Ed's article.